Think about the last time you saw a child grinning wildly, bursting with excitement and eager to explore. Chances are they were outside in the playground at break time, not sitting in class trying to grasp a new mathematical concept. But what if you could harness the same energy for both? What if that distant concept became a real-life example embodied in a tree, a rock, a pond? The kiddies are always quizzing their Great Grandad about the Second World War, asking him many questions about what life was like back then and what his role was during the war. Everytime we visit they sit quietly and listen intently to all his stories from his travels. 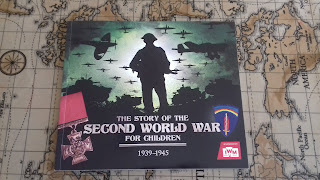 So I thought this book, The Story of the Second World War for Children from Carlton Books, would be a lovely addition to our growing collection of books on our shelves. For a 'sneak peek' of this dramatic story book check out our short clip here. Not only do we stock up on lots of fun fiction and poetry books in our Home Ed library, but we also have a large section of Non-fiction books for the kiddies to dip into, whenever they want to read something that sparks their interest. This book is packed with facts, photos, documents and maps bringing key events to life for young readers. When and why did you decide to Home Educate? 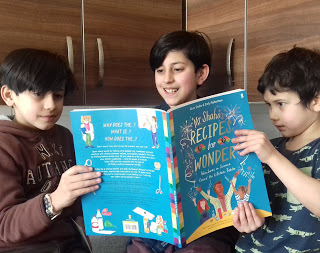 I decided to home educate before the Christmas Break of 2018 (21st December 2018) – I decided to take this approach as I believe school wasn’t the best thing for my son. He has autism and even though he was in a base (unit) for children with additional needs they weren’t dealing with his behaviours properly. They were insistent that my son needed mainstream schooling and even began that process without my permission. Home education seemed like the best option after trying 3 different schools in 4 years. What kind of approach do you take? 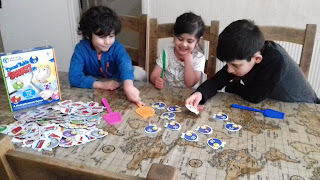 We take a mixture of formal “sit down” work from worksheets etc and also child-led learning when my son decides he wants to learn how to design games etc. Where do the children do most of their work? and do they distract each other? I only have 1 child although when he has done work with friends he is very easily distracted. We do our work on the dining table but my son loves writing on the floor! I love Maths, it's always been my favourite subject, but not everyone feels the same way. Many children often struggle with Maths and need to see how numbers are used in our everyday life, such as visiting the shops to add prices and deal with real money. 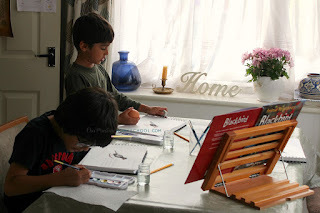 Making Maths fun and practical has always been very important in our Home Education. 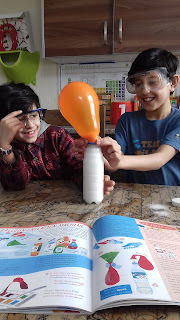 Rather than just sitting working through textbooks, I have always sourced good quality Maths aids to use, as it's well known that children learn faster if they are allowed to use practical equipment to support them. 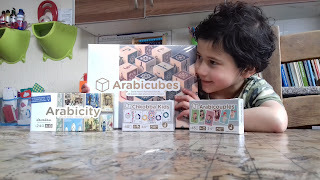 Learning Resources is an online provider of high quality Educational Toys perfect for Home Ed classrooms to provide a 'hands on' learning experience. They are committed to developing resources that inspire a life-long love of learning, and where children can learn through play. International Polar Bear Day is on the 27th February so why not help put the spotlight on these amazing ice bears. Download your free polar bear poster - and craft activity - and find out more about why they need your help. Download the WWF Explore poster here where the kiddies can get involved and gain their own Polar Bear badges. 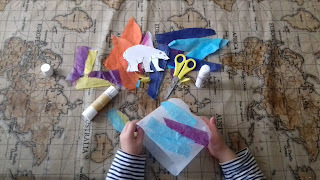 DD4 has been busy making her own Recycled Polar Bear Lantern, the instructions are here on the WWF website. Once finished why not place a LED light inside and light it up on Earth Hour. Check out the Earth Hour leader resources here. There is also some new resources for young people to help them build their understanding on key environmental issues and how they can take action by making a promise for the planet check them out here. I decided to home educate my eldest when she was five years old as she was having assessments for autism, and had started self harming. She was really struggling in school and was being bullied for being different. I noticed that in the school holidays she was much happier and calmer, then when she was in school. Her siblings have never been to school. We do projects around things that interest the girls. Like my eldest loves Dr Who, so a few years ago she made a Dr Who lap book. We do a lot of our learning through the form of projects and lap books that the girls put together. My youngest has an obsession with horses at the moment, so she is doing a lap book about them. My other daughter is doing a lap book on Madeline. When they're finished with those, I will ask them what project they want to do next and then will get the things we need for the next ones. 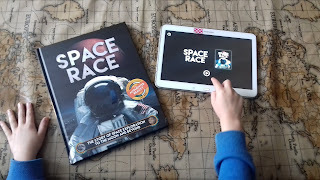 This week we have been using an augmented reality book, Space Race published by Carlton Books, to discover more about Space Exploration. This cool interactive book has been a fun way to learn all about Space exploration as the 50th Anniversary of the Apollo 11 Moon landing approaches. We downloaded the free app on our tablet in order to bring the book to life, replaying History at the touch of a screen as they read through the book. The kiddies also got to see spacecraft models in 3D as they leapt off the pages using the app. Check out our short clips here and here. 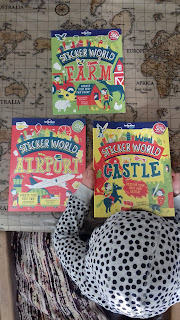 This week we have been reviewing these colourful Sticker World activity books with over 500 stickers from Lonely Planet Kids. They are printed on high quality FSC paper and are full of inviting activities for little budding artists and all those who just love stickers! Yeadon Tarn is just a 15 minute drive from us, so we set off nice and early to enjoy a walk around the tarn. The Tarn attracts lots of swans, ducks, geese and herons, but remember please don't feed them bread (it's bad for ducks! ), why not take along chopped grapes, lettuce or seeds instead! The park is free and is open to the public 365 days a year. It is extremely popular with people of all ages. Younger visitors can enjoy the playground and BMX track whilst other visitors can enjoy a leisurely stroll around the tarn or a relaxing game of bowls. 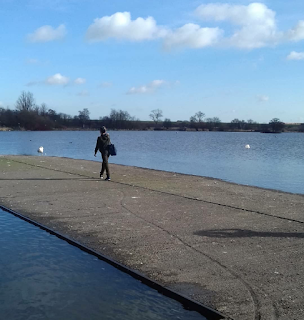 We walked around the Tarn and sat at the picnic area to eat whilst watching the planes setting off as the park is also an excellent location to get great views of the planes taking off and landing at Leeds and Bradford Airport which the boys really enjoyed. Check out our video clip here. As well as wildlife to spot there is also a Wildflower meadow with this handy spotter sign to find out more info! 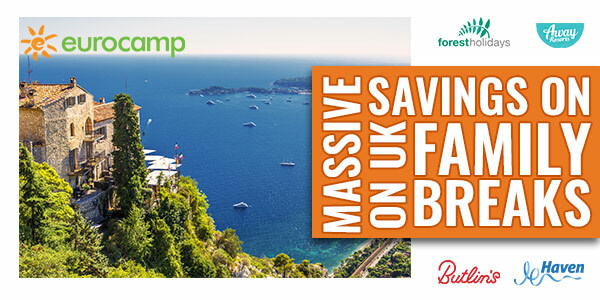 Save money this Half Term with Kids Pass!